Disney is giving impatient 'Avatar' fans something to look forward to in the near future. 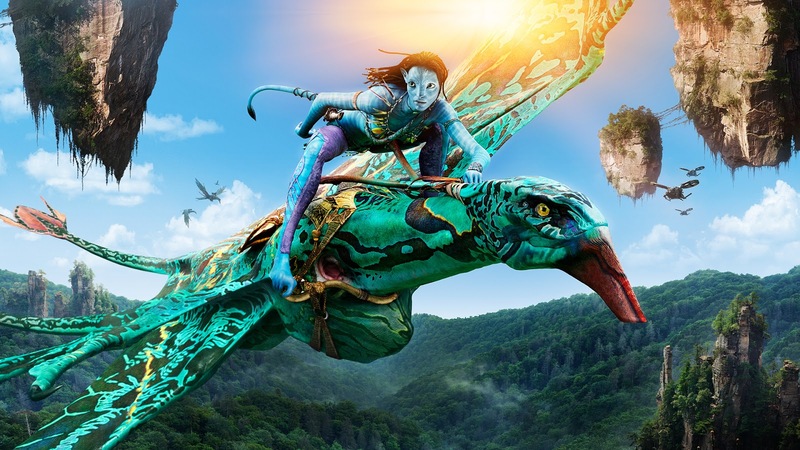 The next four films in James Cameron’s epic Avatar series might not be a reality for some time to come, but fans will still be able to travel to Pandora with the help of Disney World’s latest upcoming attractions. Pandora: The World of Avatar was first teased back in December as Cameron worked with Disney’s famed engineers to bring Pandora to life. Now, two new teaser trailers have given a brief look at what to expect from the attractions at Disney’s Animal Kingdom. The first is the “Na’vi River Journey” where you can “navigate a mystical river” and take a ride through the bioluminescent forests of Pandora. The small amount of information provided makes the ride feels very similar to Disney’s “It’s a Small World” — meandering down a river without much interaction — but without the mind-warping sing-along music. The brief teaser ends with an animatronic-looking Na’vi (the blue-skinned aliens featured in the Avatar series) opening its eyes in a shot similar to the end of the first film. The second teaser gives a look at “Avatar Flight of Passage.” Presumably, guests will be able to ride a Banshee — one of the winged reptiles featured in Avatar — and explore the world of Pandora. The first Avatar sequel is scheduled for release in late 2018, and is expected to focus mainly on “Jake (Sam Worthington) and Neytiri (Zoe Saldana) and their children,” according to Cameron. Little else is known about the upcoming four films, but at least Disney is giving impatient fans something to tide them over in the meantime. The Pandora: The World of Avatar experience will open May 27 in Disney’s Animal Kingdom at the Walt Disney World Resort in Orlando, Florida.